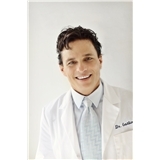 Gotlin Ob/Gyn & Wellness (Miami Beach) - Book Appointment Online! You have my commitment, at Gotlin Ob/Gyn & Wellness: your personal needs are my utmost concern. Your overall health is directly related to being physically fit and consuming a healthy diet. At Gotlin Ob/Gyn & Wellness, your overall well being is our focus. This includes our recommendations for a proper exercise routine along with expert nutritional guidance. The toolbox of physicians has many options for providing optimal Obstetrical and Gynecological care. At Gotlin Ob/Gyn & Wellness, we incorporate options form both conventional and alternative medicine. We believe this integrative philosophy offers the best choices for both you and for your health.